Great class, Miriam!! I’ll definitely do it again and will be looking forward to more spin classes with you!! Great music, great trainer and so much fun. Wow! Loved it! Short, challenging, super sweaty, and fun! Thanks, Miriam!!!! First ride with Miriam. That was awesome. Super AWESOME, that was a spin version of “The Fast and Furious”. Quick and potent! LOVED IT! My favorite 60 min workout is a 20 min spin + a 20 min sculpt + a 20 min stretch & restore. This is perfect for that! Thanks Miriam!! Loved it! Thank you for the reminders for those of us with bad knees. Loved this! Just the time I had…sweating and smiling! First workout after a hiatus. Awesome class to get me back in the saddle! Thank You Miriam and SSOD! Amazing soundtrack equally amazing combos. Thank you for a great HIIT. Such a great class Miriam! Thank you for an awesome workout!! Love this quick class Miriam. Great for when my legs just can’t make the longer ones. Who sings that last song, please? Something like “Don’t Let Me Drown”? Miriam first class I’ve done with you! Awesome! Did this after weights for 30. Great workout! Way to push it! Another excellent trainer from SSOD! Hi Miriam, loved the class, the energy and the music! Really fun! Added to favorites! Always love Miriam’s classes! I love all of the quick options on SSOD! This one is great, thanks! Just perfect!! Incredible instruction, energy and music! Great workout when you want to sweat and don’t have too much time…this gets all the blood flowing! Fist Pump YEAH Thanks Miriam! Great Pace gets you feeling alive quick ! Great class!! I hope you have another one soon!! Action packed high-energy class! Wowsah! Loved this class. 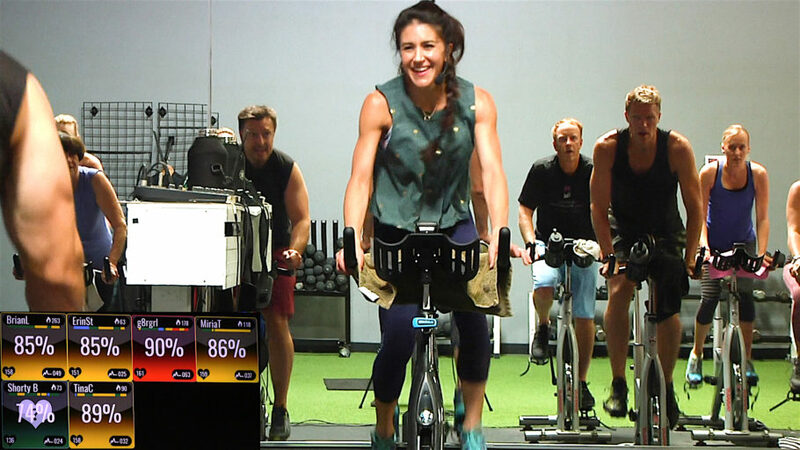 Great spin & music!! First class with Miriam. Love her style and her ENERGY! Thanks for the fun sweaty class. Great 22 minute workout. Looking forward to more with her! Terrific but intense right outta the gate! LOVED IT but wish I could keep pace with Miriam! Wow! Miriam that was one helluva class and quite the way to start the week. Miriam- your fresh music was awesome! Those beats brought a new energy- thanks for a great class! That was an excellent workout. Legs burning. Non stop action!!! Great class, full of energy, variety and fun. Agree the 20 min workouts are perfect for those mornings when you have an early start. More from Miriam too! Give that girl a raise! Super workout! Can I request an hour spin please. Thank you M! Loved the variety! Perfect when short on time. Hope to see many more from Miriam soon!! What a great class! I love these 20 minute killers. Paired it with Mere W’s 9 min abs then Miriam’s 20 minute stretch and restore. Perfect 50 minutes. thank u! Loved this class!!! Another great sweat in a short amount of time! Perfect for this busy mom of 3 girls! This is a great 20 min class! perfect to squeeze into a busy day! More please…and Thank you!!! Excellent instruction – posture tips, terrain cues, effort input. Nice to see Miriam on the podium; I look forward to seeing more spin classes from you M.! Really really great class!! Thanks Miriam! Looking forward to taking more like it with you. Awesome class! This will definitely get added to my favorites. How hard can 20mins. be I thought! Very hard!! 😂 Loved it & burned so many calories! Ty!!!! 30 Minute Spin: Bucket of SWEAT! Give me 35 minutes of all you got…and in return I’ll give you a bucket full of sweat, a mountain of motivation, and a flying high feeling. BOO-YEAH!!! Need to get a quick, seriously sweet SWEAT on? You’re in the right place if the answer is Yes! 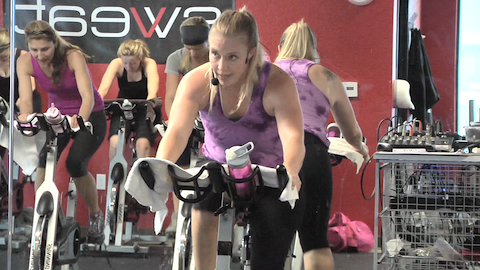 Click play to begin this killer 20 Minute HIIT Spin class with Bethany! I think you’ll love the format, and all you need is your bike, a towel to soak up that sweat, and a no give up attitude. GO! This killer Strength & Spin Fusion workout is gonna be off the hook! 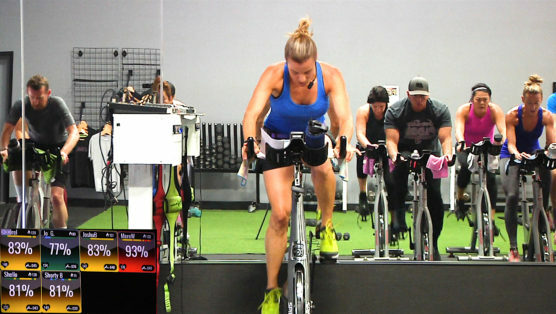 You’ve got just 30 minutes with SSoD Trainer Mere W, and she’s not going to let you waste a second of it! 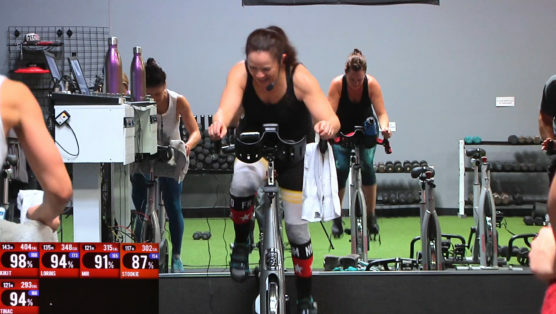 Hit the saddle for the first 15 mins, where you’ll do some seated and standing sprints & climbs, and one epic endurance hill. Then comes the Fusion part of the Cardio & Strength training class – the Strength Training! 14 minutes of full body toning intervals where you will hit every major muscle group with combo moves designed to keep the heart rate high & calories crushed. Hit play and start sweating!